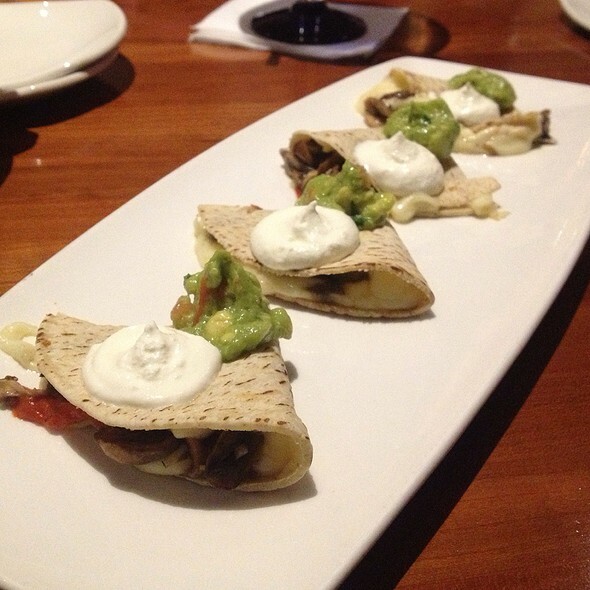 Cantina Laredo offers something completely new, a sophisticated approach to traditional Mexican cuisine. 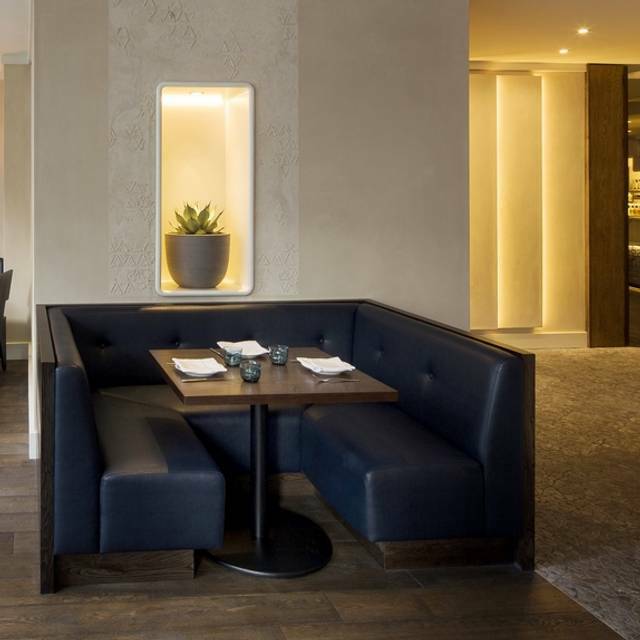 Our ethos at Cantina Laredo is to blend old with new by using contemporary and traditional techniques to bring a modern twist to the authentic flavours from all regions of Mexico. The menu is a culinary exploration of Mexico’s regional cuisines in search of Mexico’s most incredible flavours. Traditional and contemporary techniques combine to produce an intriguing menu that pays homage to authentic Mexican flavours. Emphasis is on the bold and intense flavours with simple presentation using high quality ingredients. Dishes are authentic, but not traditional with a modern approach to recreate classic dishes and invent new ones. From a set menu, 3 courses £28. 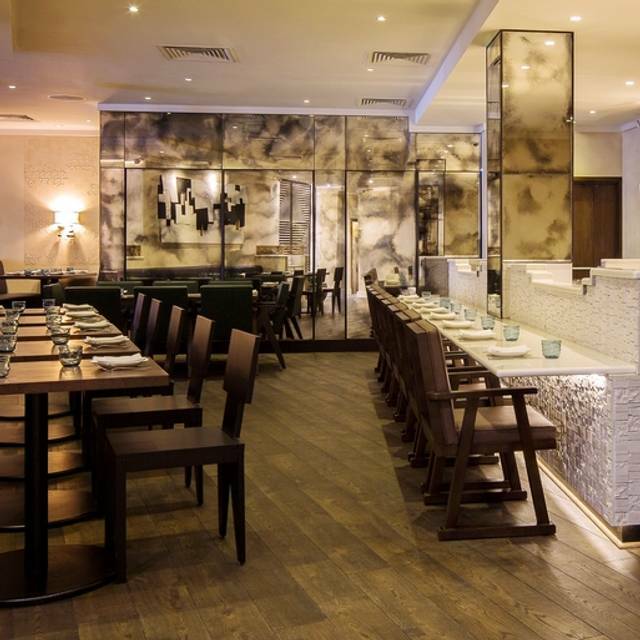 Great location, fab food, well looked after. Highly recommended. Had lunch with a friend. Have eaten here many times so have not been disappointed as yet. It was very quiet but I guess, being the Easter hols. and all the road works and building works, it has inevitably had an impact. Lovely food, great service. Amazing frozen margaritas. Definetely have one if you like margaritas. I had the raspberry one. Fresh guacamole is tasty but probably not worth the money. We also had steak fajita which was the best i had in a very long time. Would definitely recommend. Great restaurant and amazing food! Great food, favourite thing was the fresh guacamole that they prepare in front of you, definitely recommend! Stumbled across this restaurant a few years ago and it’s now our ‘go to’ whenever we are in town. 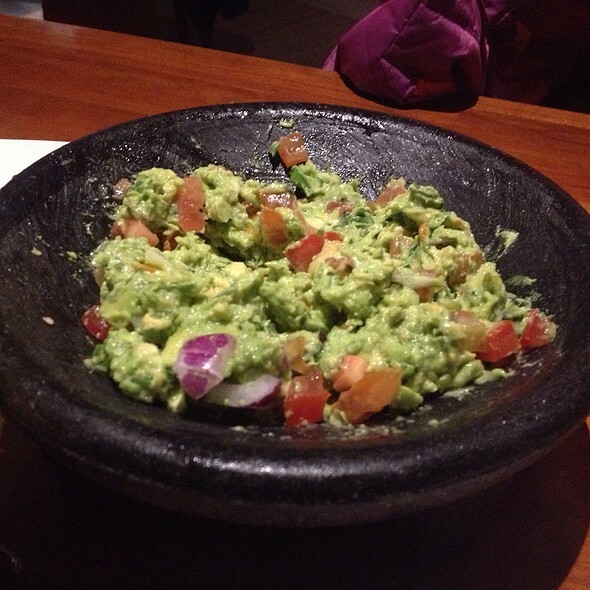 The table side guacamole is literally the freshest thing you will ever eat! Food was good although service wasn’t very attentive and quite expensive for what it was. The margaritas were a bit too thin on the alcohol! Dined on a Sunday night, receptionist looked unfriendly and annoyed. Once escorted to the table, we were served by a rude Spanish waiter (maybe supervisor, he had a different shirt from the others) who promptly advised us we only had 10 mins before kitchen would close (was 9 pm). After choosing one small dish for myself (his rudeness really put me off) he said in an arrogant way I could not order any more items. I would rather starve than being served in this way! Definitely not the warm service you would expect from a Mexican restaurant. On another note, food was great. Modern, well presented and tasteful. Churros to die for. Restaurant looks pretty and elegant. Very unique dining experience. Excellent food choice and quality. Large, airy restaurant - first class service. We are going back there in March. Excellent! This is my third visit and it's always a consistent experience. Pleasant welcome, great service and most importantly the food is really delicious and inventive. Love veggie fajitas and filling. come here occasionally as more expensive than normal resturants i go to. Nice mocktails and good dessert. some veggi options and luckyily i like them. We had the set menu which included a delicious strawberry margarita. Had the aubergine fajitas and mushroom tacos--excellent. Great friendly service and a nice atmosphere. We had a pre theatre meal, good choice on the menu and good value. Why no Open Table points though? 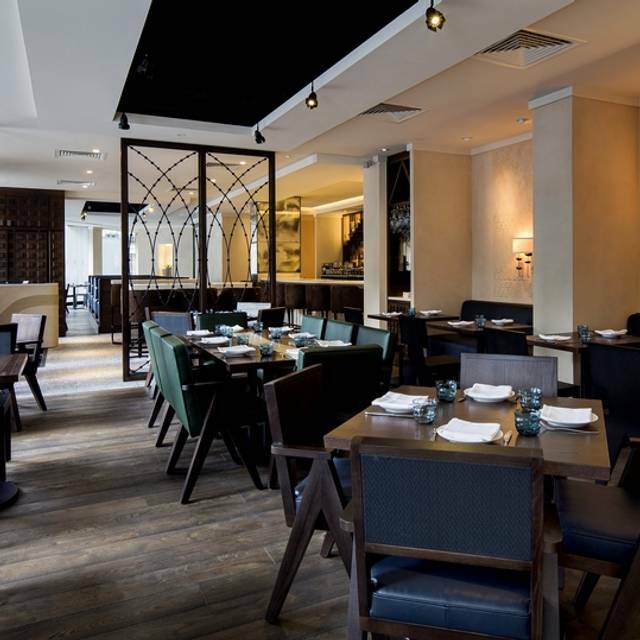 Great food - we tried the weekend Brunch and is worth the value... Try the Chicken Quesadilla, Steak and Churros! Good food and service. A little bit crowded and tables very close together which made the environment quite loud. Their fresh guacamole is a must, micktails were great. Good service and very accommodating for large groups and child friendly. Simply faultless. Superb food and superb service. Amazing food. I have been dreaming about the food since I ate it. Really delicious cocktails. We shared a few medium plates between 2 of us to be able to try more dishes and EVERYTHING was amazing. I will definitely be back again. 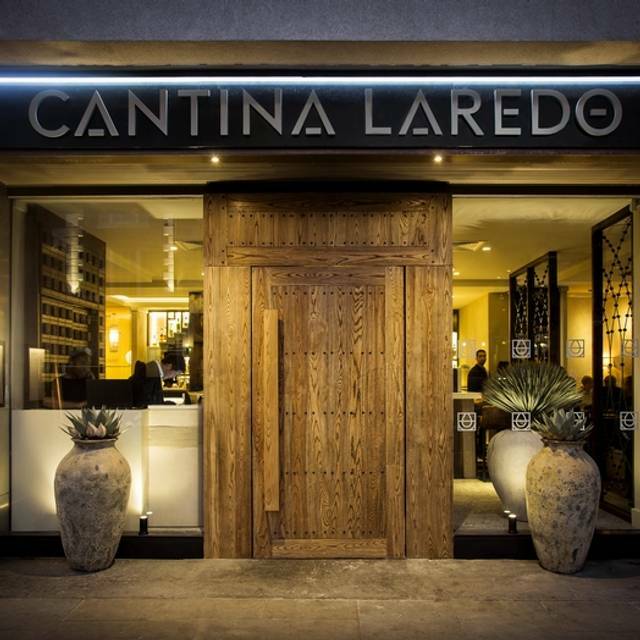 From the outside, with a window onto a wall of tequilas displayed as beautiful objects, Cantina Laredo gives the impression that the food and ambiance will have some magic, but it feels a little flat and anticlimactic. There is so much potential for a little bit of fun and theatre given food and extensive menu for cocktails, tequila and mezcal on offer, but the team inside, while polite, seemed little connected to the potential for fun! The food is tasty but was cooling as it arrived at our table. This would be a good place for a large party that can create their own ambiance. Gear place to have dinner or lunch. It is not local Mexican and rather international Mexican menu. However it is a great menu and you can't go wrong. When we arrive we were told that they were closing and couldn’t sit us. After arguing that we had made the reservation thru OpenTable and it was confirmed, we were allowed to eat but told us we had to order quickly. Steak fajita was very chewy. We could not enjoy the food. Have always loved this place but last night the service was frustratingly slow. It took 30 mins to get our desserts and they only arrived after we asked the waiter to check on them. Then towards the end of the evening a heated argument broke out among the waiting and bar staff at the bar, which was loud enough to drown out conversation at our table. Food was good, as always, but it was really let down by the service. Very disappointed by the welcome - the staff were uninterested upon my arrival. Furthermore they clearly hadn't noted my request regarding my seating preference so had to refuse their seating suggestion. The waitress serving was very welcoming and helpful unlike the rest of the staff especially the managers. The food was pretty average compared to other Mexican fare I have experienced in London. Upon departure they couldn't even be bothered to say good bye. 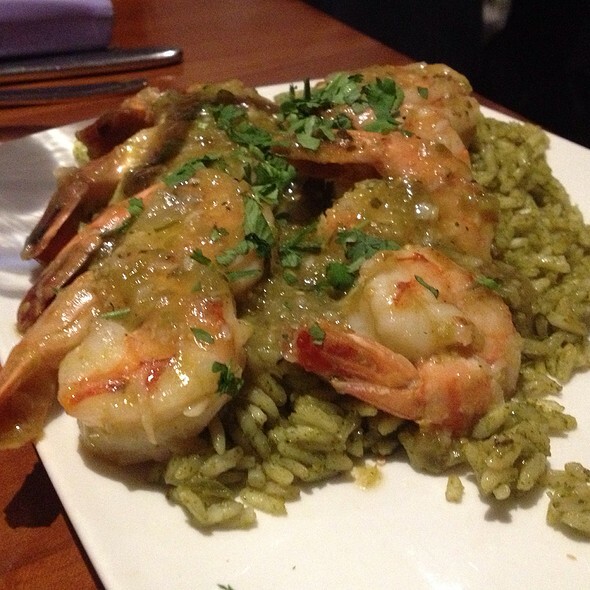 Starters & small plates good. Fajitas very average sadly. A nice atmosphere. Had a fabulous pre theatre meal with my girlfriend. Started with Margaritas and i had a 3 course pre theater and she chose from A La carte menu. Thie atmosphere was superb as night with Christmas parties and we did not mind the noise. We were there at 5 pm and finished in 2 hours before our Musical started. Starter = go for Guacomole prepared at the table and for dessert go for Churros. They are excellent. Great food and incredible flavours. Maybe put a radiator on, we had to sit in our coats, cold resturant. Fabulous meal! Really great selection of dishes and delicious food. The staff are super lovely and overall relaxed atmosphere. came here for a bottomless brunch with my boyfriend. Atmosphere was exactly want we wanted. Service was amamzing and the drinks and food didnt disappoint. Loved the restaurant, food, service, ambience! Took my best friend here for her 28th Birthday and the food was amazing. It was slightly pricey, the food and drinks were great. I will definitely be coming back. 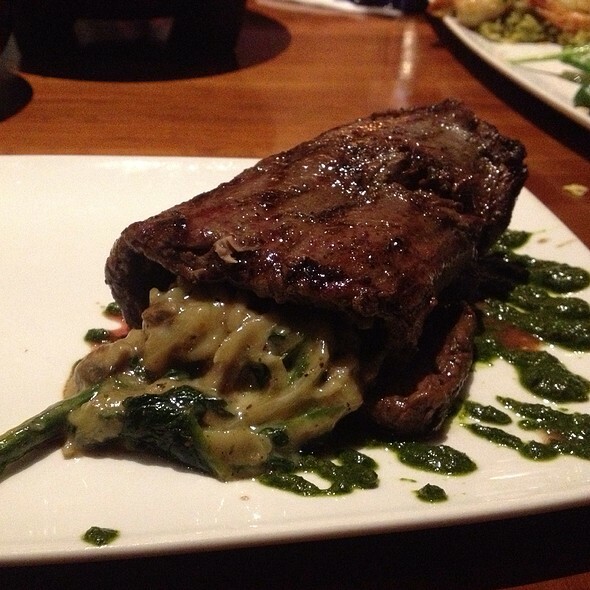 3rd visit and Cantina Laredo never fails to deliver excellent food and service. We went as a family to celebrate my daughter's 18th and it couldn't have been better - a real treat and already looking forward to our next visit! I imagined this place might be more atmospheric but it is a bit canteen-like, brightly lit. Some of the food was excellent, some was merely ok (one sensed it wasn’t made with passion). The service was difficult to understand and not particularly attentive. Food took over an hour to arrive and we had to leave without eating anything! Horrendous service. Avoid pre-theatre for sure! Of all the restaurants that I have booked through Open Table this shows up more times than any other in my account history. Why? 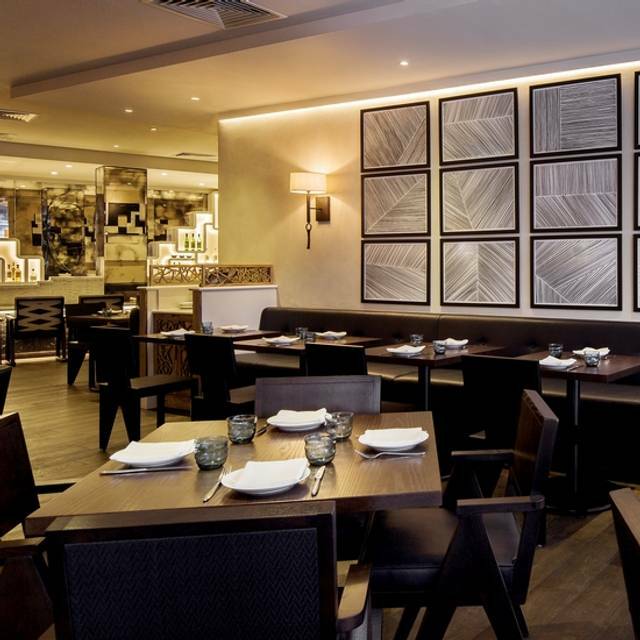 Because it is a great place to eat before the theatre providing excellent food, service and if you dine off the pre theatre menu very reasonably priced. Food was fresh and tasty but overall a little underwhelming. Margeritas lacked a bit of punch. £50 brunch deal a touch overpriced. Service deteriorated when restaurant became busier. Would go again for guac and cocktails.